(c) Maitre d’Armes Michael A. O’Brien. 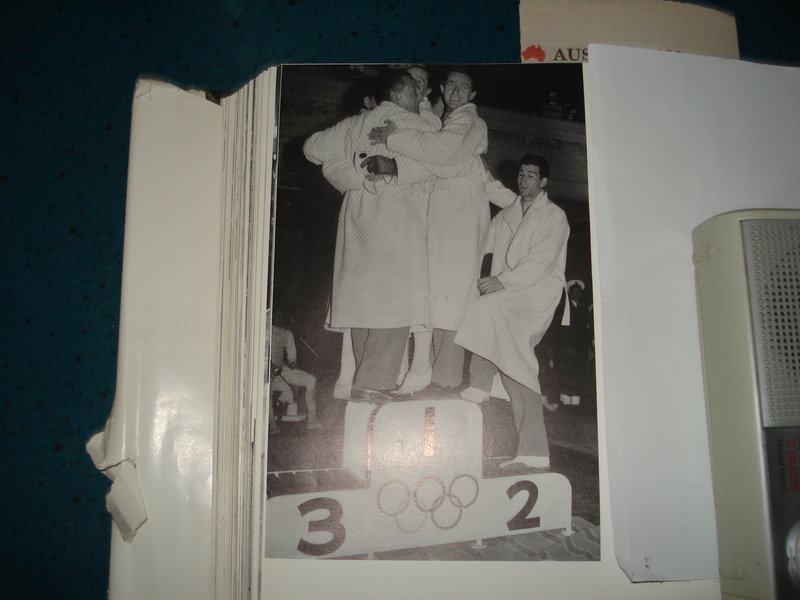 Use only with permission.Olympic Year 1956 was the commencemt of 32 years coaching in Victoria by Michael A. O’Brien. 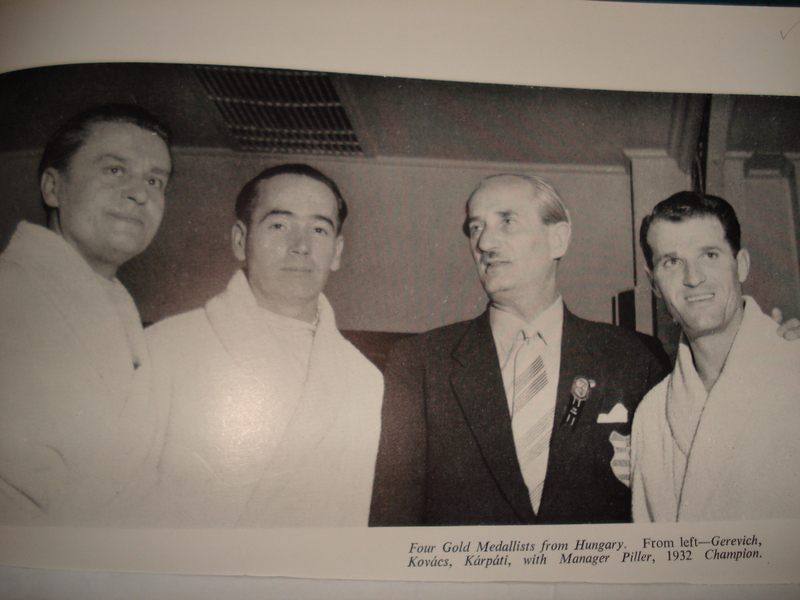 Four Gold Medallists from Hungary. Left-Right. Gerevich, Kovacs, Karpati, with Manager Piller, 1932 Champion. Cohen ( U.S.A.) and Kouznetsov ( U.S.S.R.) in the Sabre Team Event. Mr. Guiseppe Mazzini presents the Medals in the foil teams event. 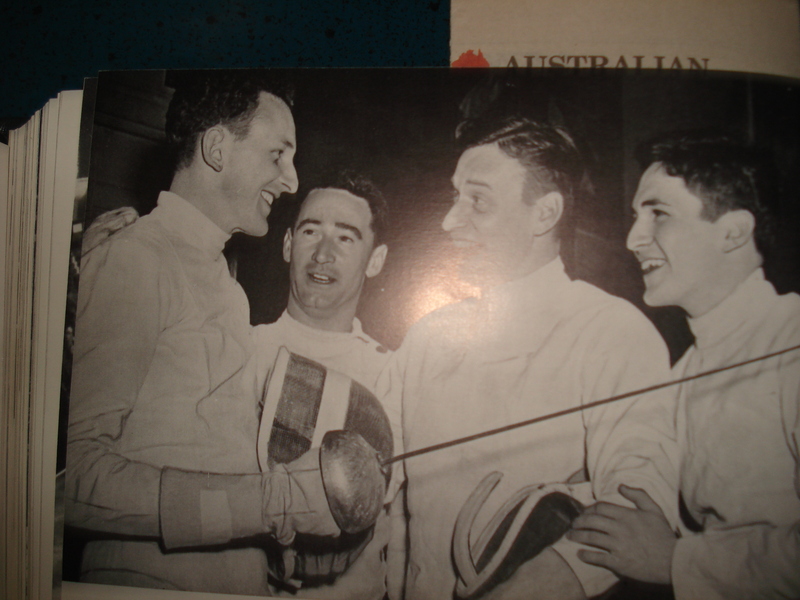 The Australian Epee Team after its first win. Left- Lund, Hackshall, Van Dijk, and Wolfensohn. 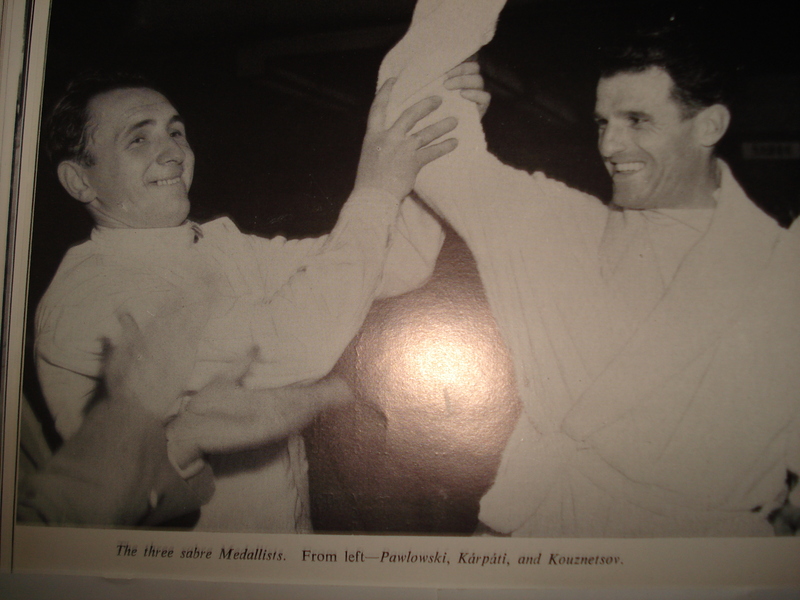 Rylskii (U.S.S.R.) congratulates Gerevich (Hungary) at the sabre teams Victory Ceremony. 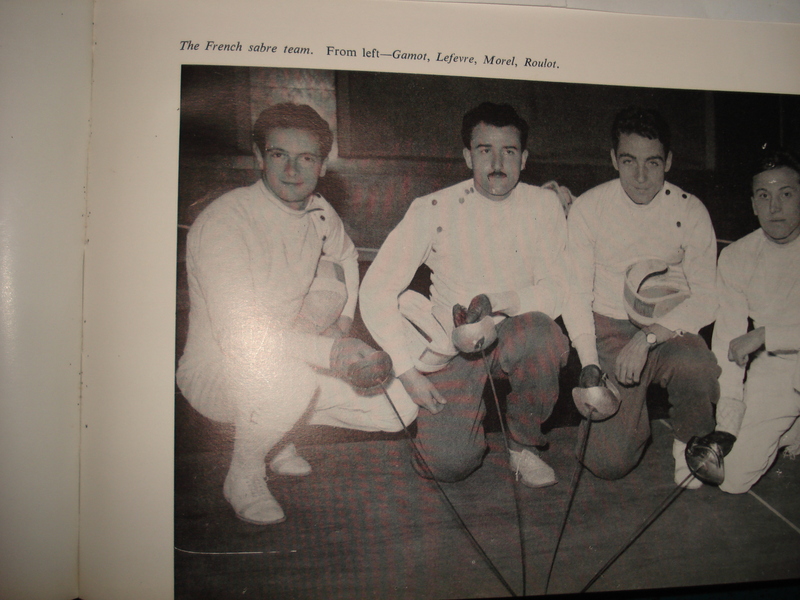 The French Sabre Team. 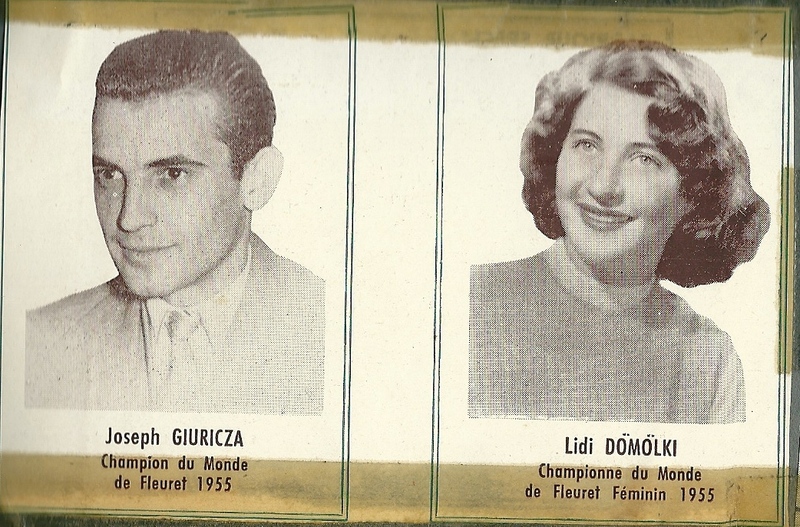 From left- Gamot, Lefevre, Morel, Roulot. 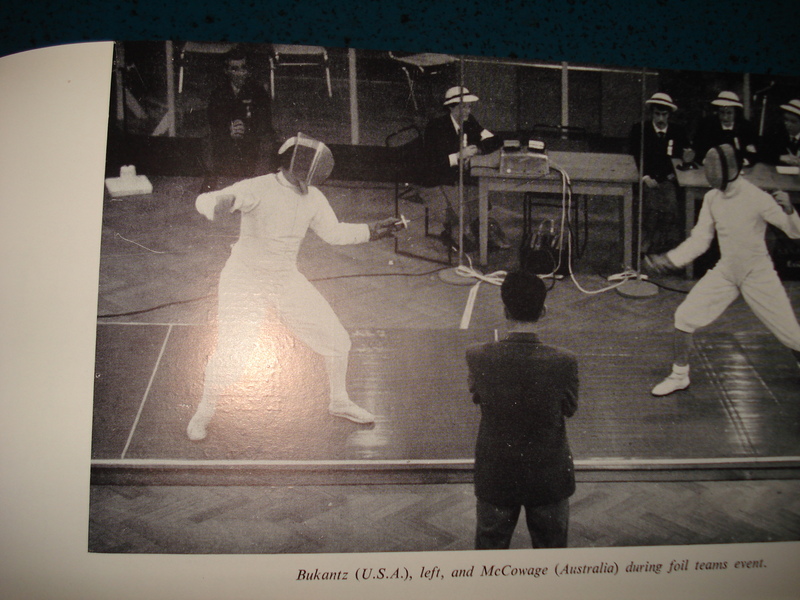 Bukantz (U.S.A), left, and Mc Cowage (Australia) during foil team event. The Italian Team after receiving their foil medals. In the first round of the epee teams, Lund (Australia) meets Delfino (Italy). 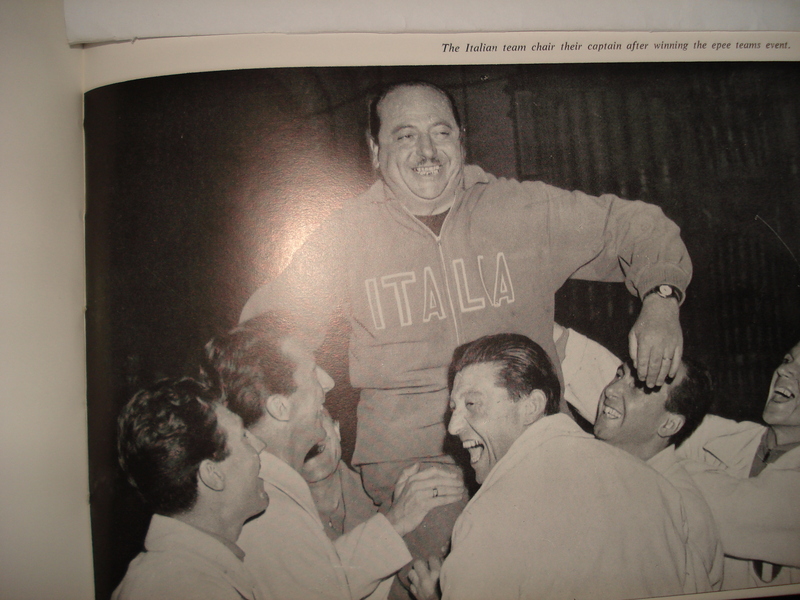 The Italian team their captain after winning the epee teams event. 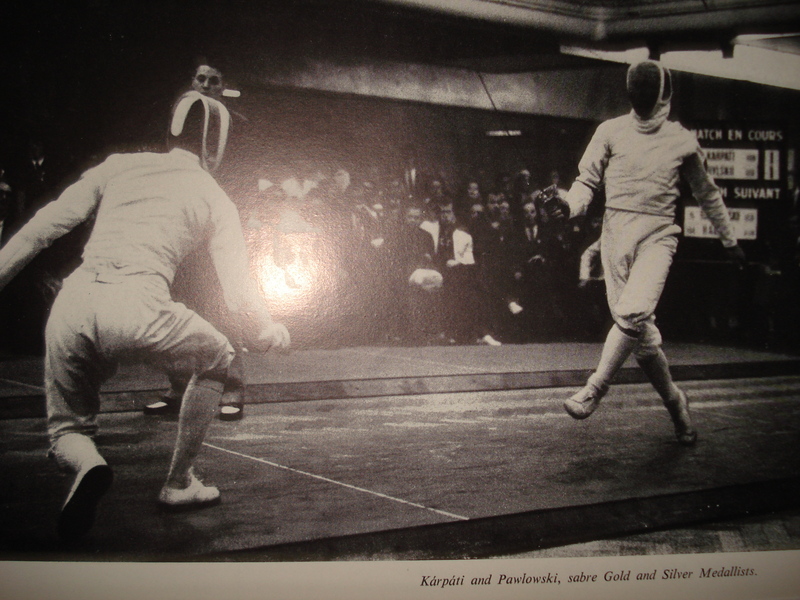 Pew (U.S.A), Left, and Pavesi (Italy), during their epee bout. 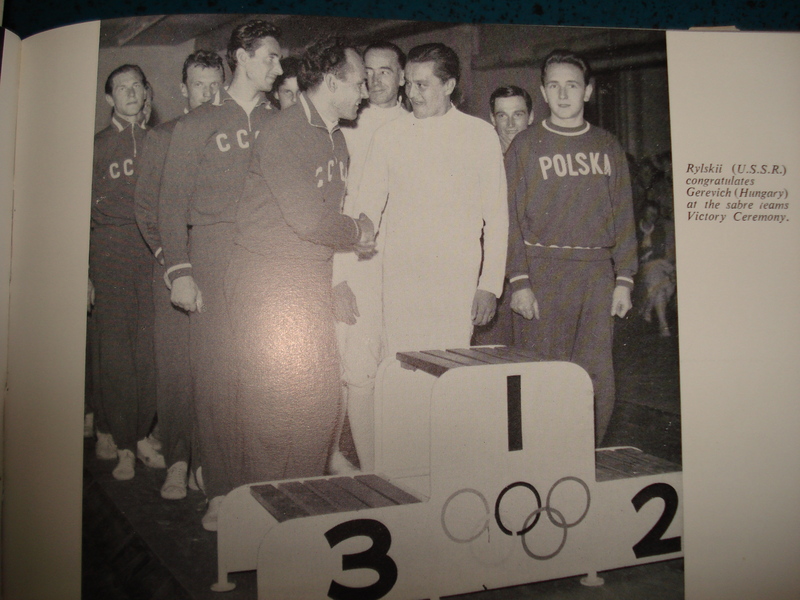 Pavesi won the Gold Medal and Pew was equal fourth. Silver Medallist, Delfino, left, and Carleson of Sweden. Karpati and Pawlowski, sabre Gold and Silver Medallists. The three Sabre Medallists. From left- Pawlowski, Karpati, and Kouznetsov. 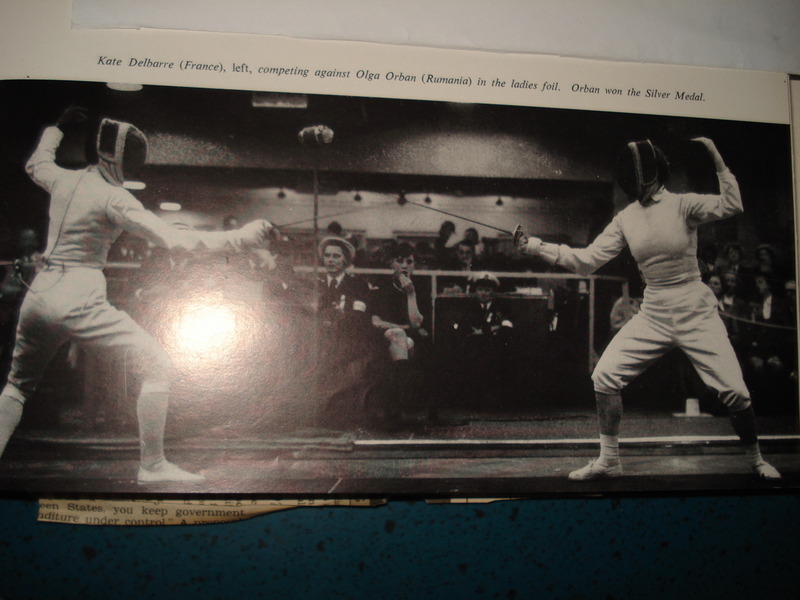 Kate Delbarre (France), left, competing against Olga Orban (Rumania) in the ladies foil. Orban won Silver Medal. Gold Medallist, Gillian Sheen, competes against Renee Garilhe (right), winner of the Bronze Medal. Truly fabulous images. Most fencing in Australia remains unseen by the general public. 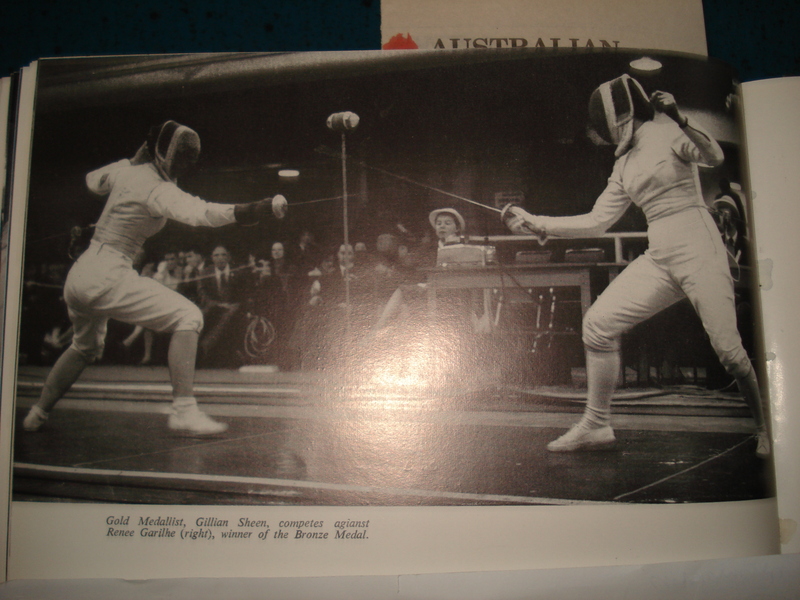 !956 was a seminal moment for fencing in Australia. No I’m a bit too young for that…I’m only 50. However, Harry Somerville was my principal coach, also John Humphreys and John Feathers. It’s rare to see photographs of these people all in one place. Particularly of Olympic competition. This brings back great memories for me and my time with The Salle Bella Vista and Mike O’Brien. Fantastic collection. Amazing locations around Melbourne too. Other than MTH, I suspect a lot of the architecture in the background no longer exists. 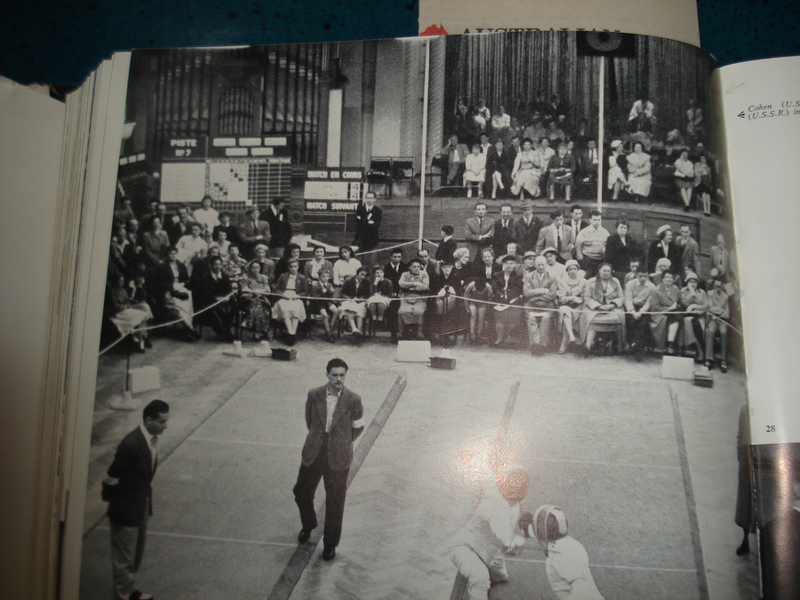 Where is the shot of “Denise O’Brien and Coach Michael O’Brien Training for 1956 Olympics” taken? 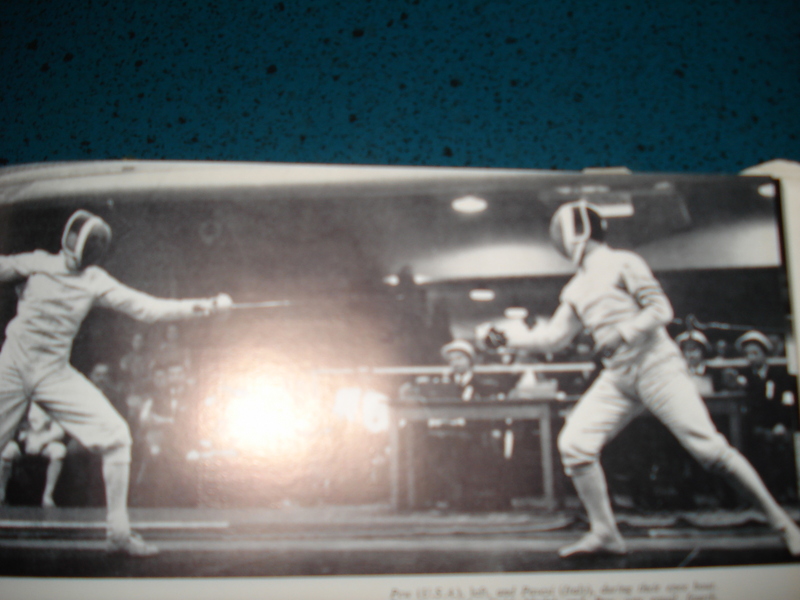 Enjoyed the short time that I learned to fence (1968-1969). Cannot remember my coach’s name now, but Harry S sounds familiar. 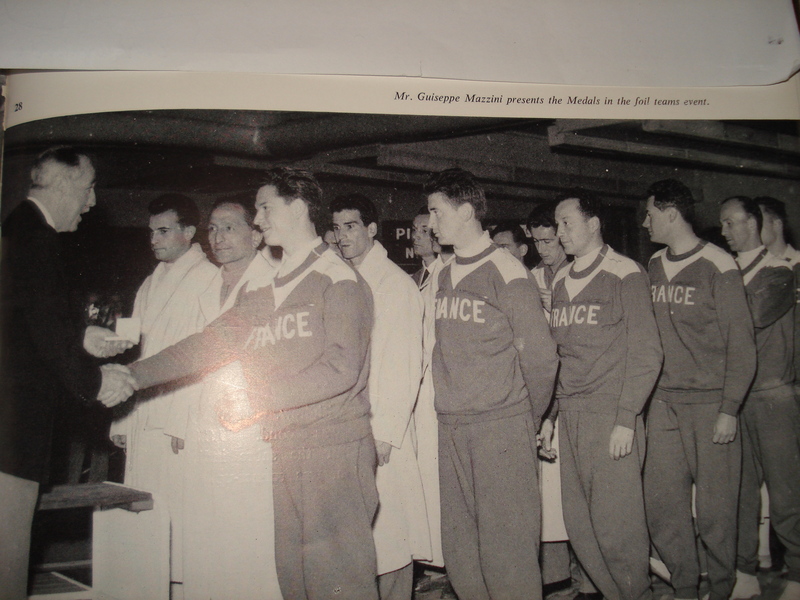 Hello to all from 1956 Olympics and to present – would anyone have any information – contact details, or photos on JOHN SIMPSON – FENCER from around 1956 (he fenced in 1956 Olympics). JOHN SIMPSON is my Uncle and I am trying to locate / make contact with his family / relatives in Australia OR possibly UK. Many thanks – Jennifer Simpson. 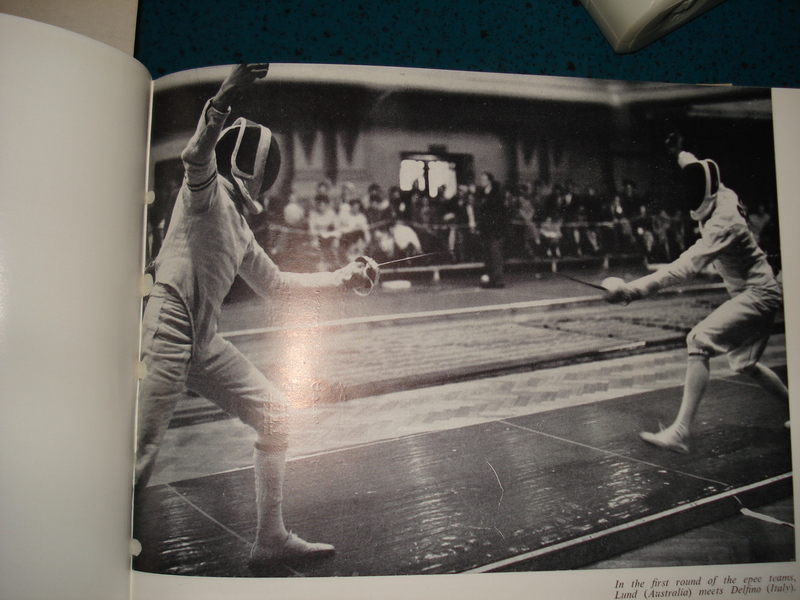 Jennifer, I don’t recall John Simpson fencing in the 56 games however I. am sure he did fence in the 1958 Commonwealth games in Cardiff. Hope this is of some help to you. Jennifer, I work for an organisation called Active and In Touch. I know John would be delighted if you could contact him. If you email me I can put you in touch with one another. Great photos. I hope you well. I remember with great fondness the years spent training with you and all the great characters at MAOB in 70’s and 80’s. All the best Colin MAtthews. Keith hackshall married my mother Margaret Shelley on Australia Day 1957. 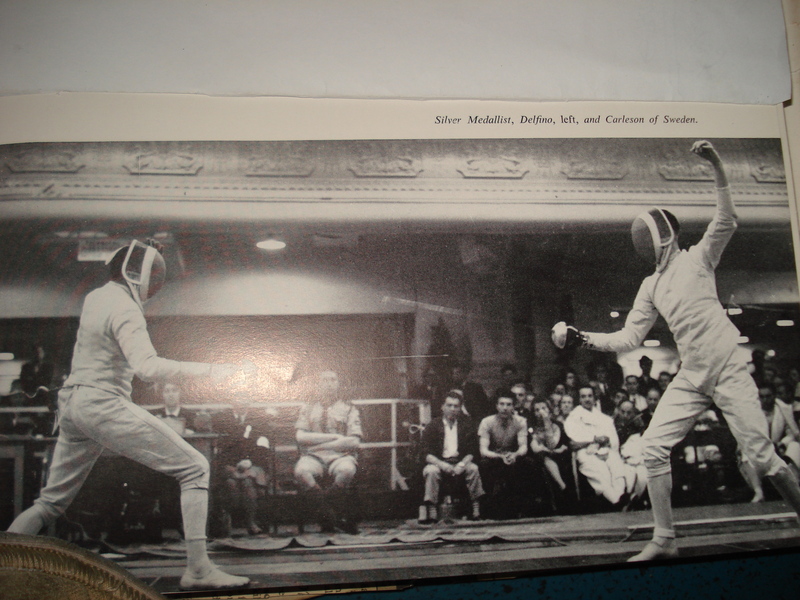 They were introduced to each other by Charles Stanmore at the Sydney Fencing Club. Haymarket. Mum still fences. I am trying to track down information about Joy Hardon for the Australian Olympic Committee. Does anyone know any information that could help me?